In meeting our customer’s needs, Aktion Associates works with third party application developers who have met the rigorous standards of Sage Software to extend the functionality. eTakeoff Dimension, an electronic quantity takeoff product distributed by Sage, significantly increases accuracy, productivity, and speed over traditional paper or manual takeoff methods. Powerful, versatile, yet easy to use, eTakeoff provides estimators sophisticated assembly capabilities, extensive Microsoft® Excel integration, and time-saving features like Pattern Search, an autocount symbol search feature that quickly locates and quantifies multiple occurrences of symbols within digital plans, to greatly improve the takeoff process. eTakeoff Bridge is an innovative software product that integrates eTakeoff Dimension with Cost Estimating systems. Bridge is currently integrated with Sage Estimating 300CRE. Bridge is a separate program that runs between eTakeoff Dimension and the Sage Estimating system. In its simplest use, the estimator drags an individual measurement from the drawing in eTakeoff Dimension and drops it onto the appropriate estimating item or assembly listed in the Bridge Window. Bridge then allows the estimator to “teach” it the proper relationship between the drawing measurement and the estimate item/assembly with a simple “drag & drop” mechanism. To learn more about eTakeoff – Click Here! Payapps is a cloud based construction payment management platform, becoming the solution of choice for general contractors and subcontractors, in saving significant time and cost through automating the application for payment, valuation, change order management and certification process. Designed specifically for the global construction industry needs, it is simple for both parties to use. Whether you are looking to make electronic payments or print MICR checks onto blank check stock, Create-A-Check from Piracle allows you to more efficiently manage your payment processes. Create-A-Check integrates with your existing Sage accounting software to manage your accounts payable, ACH payment and print MICR-encoded checks. ROCTEK is the construction software industry leader in graphical digitized takeoff software. ROCTEK’s software meets the needs of practically every construction trade and provides detailed quantity survey information, saves graphical records and easily ties these quantities into any estimating program or spreadsheet system. ROCTEK excavation takeoff software allows the end-user to work either onscreen with digital drawings in the background or with a digitizer using paper plans. About Time Technologies provides the most capable and advanced mobile time entry and field data collection system available in the market today, while maintaining incredible simplicity to operate. About Time runs on all Apple, Android, Blackberry, Windows, and tablet devices as well as netbooks, laptops, and computers. The hh² Cloud Services is a suite of fully hosted web applications designed to help your business collaborate more effectively. Created for the Construction and Real Estate industry, hh² Cloud Services integrates seamlessly with Sage 300 Construction and Real Estate (formerly Sage Timberline Office) and Sage 100 Contractor (formerly Sage MasterBuilder), premiere construction and real estate accounting, estimating, and project management system. The Office Connector software suite automatically connects to your Sage 300 Construction and Real Estate database; without the need to do anything technical like configure data sources or write SQL queries. The intuitive wizards of Office Connector Query guide you through the process of pulling the data you want and placing it in Excel where you want it. Easy to use and quick to implement, TimberScan was developed for seamless integration with Sage CRE software. Data flows directly from Sage to TimberScan with similar entry protocols; data entry has the same lookups, warnings, error messages, and distribution grids to give you a succinct yet paperless experience. 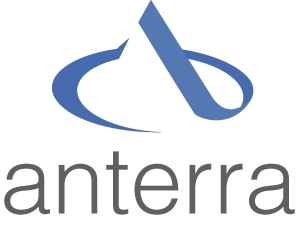 Anterra DataCenter™ merges an unlimited number of Sage 300 Construction data folders into a single Microsoft SQL™ data warehouse. Construction and engineering companies often have multiple data folders – often one folder per legal entity or construction management job. anterraDataCenter™ combines all of the data from all of the folders and makes it possible to roll up financial, job cost and payroll transactions and results. All Sage 300 Construction data is available to show on the same report: Job cost, GL, AP, payroll, equipment, project and service management, purchasing and inventory, and project management. 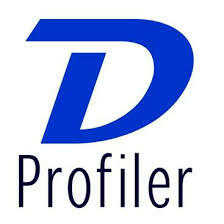 We also take all property management data into the data warehouse for clients that are developers. Customized aps designed to merge, automate, validate and audit the data fields of Sage 100 Contractor to help you streamline your proecss. zMaxOneClick Apps, uniquely designed and seamlessly integrated with Sage 100 Contractor screens, install in under a minute and immediately begin to work with your Sage 100 Contractor system.